360 Lace frontals and lace frontals are both very useful in creating beautiful sew in installations. They both serve the same purpose, which is to close off an install. They both eliminate the need for blending. They are both made of either Swiss lace or French lace. But they also have several differences between them some that we will discuss in this blog post. First, let’s talk about their Similarity. Function: The purpose of the frontalis to protect your hair from damage while providing maximum versatility. Does it sound amazing right? I mean, who wouldn’t want their hair to look like this.360 lace frontal vs lace frontal closure 13*4 both can help you achieve your this dream! 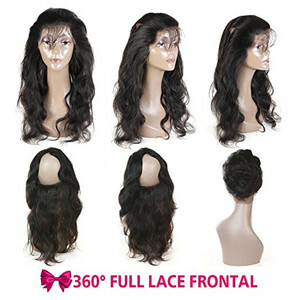 Material: Lace frontal closure is made up of an ear to ear stretch of lace that has hair attached.While 360 frontal closure is a lace headband with hair attached to it. The constructional differences between closures and frontals are apparent, but the subtler differences between the materials used within closures and frontals themselves arguably require more attention. Both closures and frontals are typically made with either lace or silk. Install way: As with all hair weaves,360 frontals and lace frontals can be installed both ways. They can be installed with glue or they can be glueless. The way you put on you choose will ultimately depend on your desired look, level of convenience, and level of versatility. 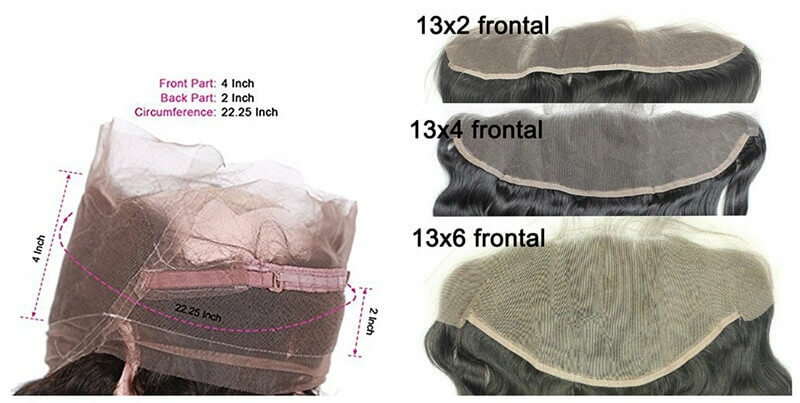 Size: Actually 360 lace frontal most be used on people who have less hair around the head.The 360 frontal covers the complete hairline around the entire head.The standard medium size of the 360 frontal is 22.25"x4"x2". 22.25"is the circumference from ear to ear. 4" is the width at the front. 2" is the width of the back and sides. And the middle blank part is where to sew onto your wave.The lace frontal is made up of an ear to ear stretch of lace that has hair attached. It is larger than a closure and is around 14X4 in size. Install time: When you wear the 360 lace frontal, put your head through the hair pieces, then put down your own hair to cover the lace frontal.In installing the hair, 360 frontal sew in only takes around one hour, while it takes more hours to install lace frontal closure with hair bundles. If you are one that goes for regular hair appointments (meaning every 2-3 weeks even with a sew-in install), then yes, you should try a 360 frontal. 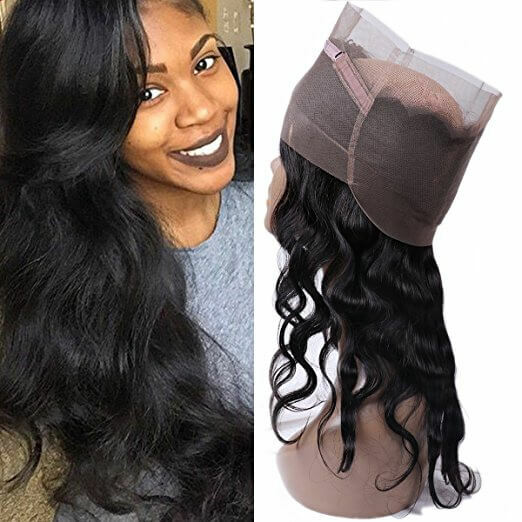 Remove: When talking about 360 lace closure hair, we must note this: The new product Pre Plucked Lace Band Frontal covers the entire perimeter and has the most natural hairline with baby hairs around the entire cap which will allow you to wear high ponytails at ease. 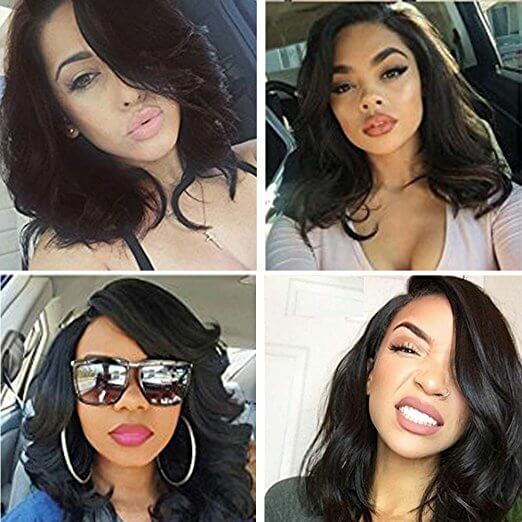 Hairstyles: The main benefit of choosing a lace frontal is its unmatched styling versatility.The 360 frontal allows you to wear pretty much any hairstyle. With the 360 frontal, you no longer have to fear to wear the high ponytail that so many people love. You can pretty much wear any type of part in the front of the hair, along with being creative with the back. Money:If you want a lace closure (size 5×5, 4×4, 3×4, etc. 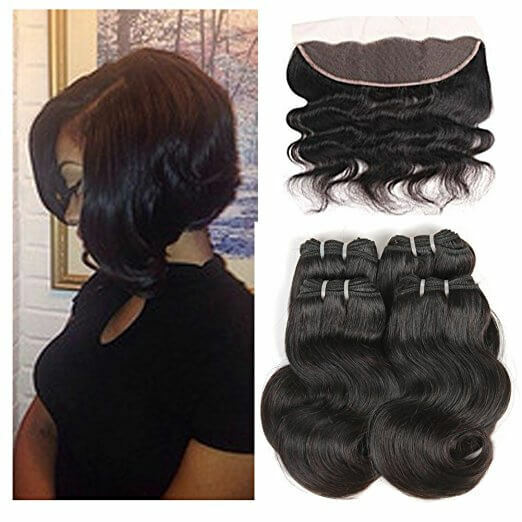 ), well you're going to have to accept that a closure is the price of a bundle of hair.If you want a lace frontal (size 13×4-13×8), you're going to have to accept that it will usually cost you much more than the bundle of hair. If you want a 360 lace frontal (size 2.5×2×4), you may need 2-3 bundles to complete a full head with a 360 lace frontal, of course, you should pay for more cost. 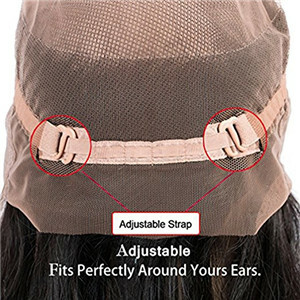 Breathability: Another difference between the two is that 360 lace closures are more ventilate than common frontals.New design 360 lace frontal wig makes your scalp more ventilate.And the pre-plucked natural hairline gives you a natural looking.No matter which one you choose, realistic and comfortable is the most important! 360 lace frontal vs lace frontal, which one is better? 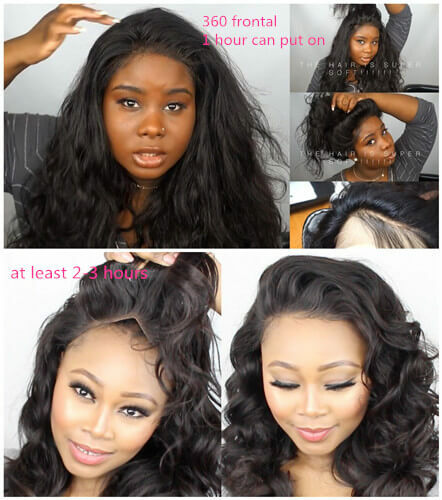 Of course, neglect the money of 360 lace frontal vs lace frontal, I pre the pre plucked 360 lace frontal with bundles.No matter its install time and the feel you wear on your head, no doubt,360 lace frontal closure with baby hair which goes all the way around the circumference of your head, making it more comfortable, more natural, and more realistic. 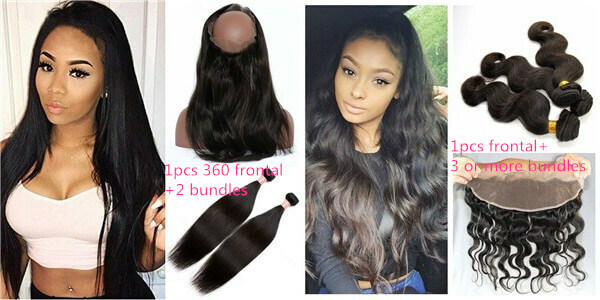 However, many others prefer lace frontals for its benefits, the basic function 3 closure belong it can also provide, the comparison the money of 360, it can be a wise choice. Lace frontals are the newest wave! Since more hair stylists and sew-in specialists are training on how to install and ‘slay’ a lace frontal correctly, it’s becoming a growing trend in today’s hair culture!360 lace frontal vs lace frontal, which do you like best?No matter which one you choose, realistic and comfortable is the most important!